With Spring well upon us here in New Zealand, its now the time to start getting our plants in the garden for the coming Summer months, while you guys in America are starting to wind down. 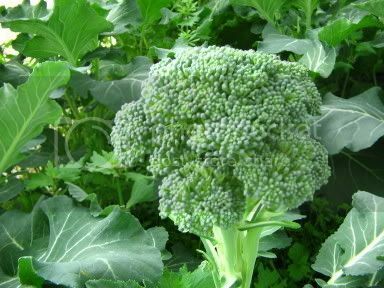 De Cicco Broccoli. My winter crop is ready for harvesting now. The picture isn't too flash because my free range hens were taking the opportunity of the open door to the glasshosue where the crop is. 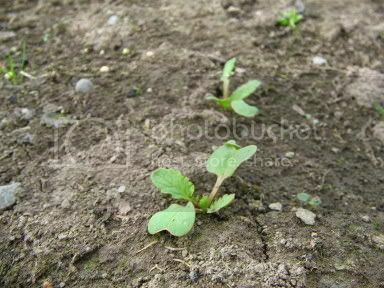 Red Robin Radish seedlings just starting to pop through. 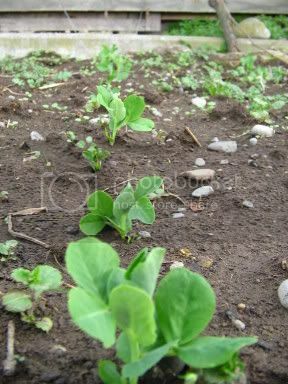 Some Dwarf Massey peas I started in trays to test the water at seedling striking rate/success. Green Macerata Cauliflower that I have been growing over winter. 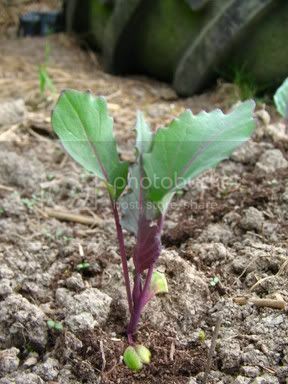 This is the only surviving seedling due to weather conditions over winter. A new flower bed at the end of my vegetable garden. In the pots are my calla lilies, and one pot containing Apple Mint. This just adds a splash of colour during winter. My carrots (Baby carrot, Lubinia(sp), Purple Dragon and Nutri Red breeds) are all due to come up within the next week or so. 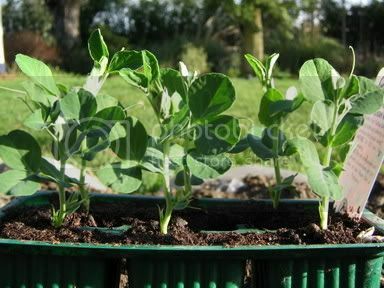 My Artichoke, strawberry spinach, silverbeet, and pumpkin seeds are all on their way to getting their first true leaves in the trays I started them in. NZG, what are those flowers in the bed in the last photo? 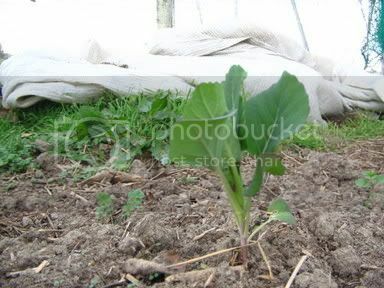 Broccoli looks yummy - we'll be growing some soon. Such an exciting time spring is, isn't it!!! I think those flowers in the picture are primroses Grey. Am I right NZG? They were on special for $0.99c each so I took some. It's wonderful to have such a diversity of gardening locales in these forums. I often forget that South of the Equator the seasons are reversed. Up here, our vegetables and fruits are winding down. I hope that people in NZ and Australia find posts such as these very useful. I sort of feel like we're leaving them out! Thanks for the pics NZ! 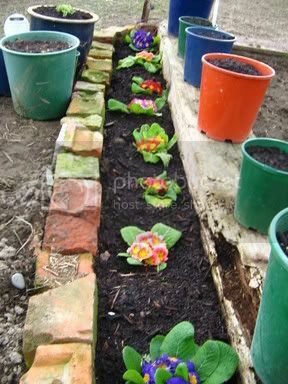 Flower Garden to Vegetable Garden?? What garden vegetable is this?